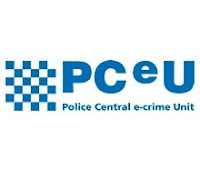 This week Nominet received an instruction from the Metropolitan Police's Central e-Crime Unit (PCeU) to take down around 1200 .co.uk domain names. These domain names have been under investigation for criminal activity. As part of Operation Papworth, the PCeU have targeted web sites run by organised criminal networks that purported to sell designer items - clothes, jewellery and electronic goods. Many of the sites involved supplied counterfeit goods or in some cases simply failed to supply any goods to the consumers who placed orders. This is a positive note for consumers and brand owners.